Let’s get into car detailing and what Autohaus Polishing can do for your vehicle! During this treatment, we thoroughly clean, enhance, restore and protect both the exterior and interior of your vehicle. 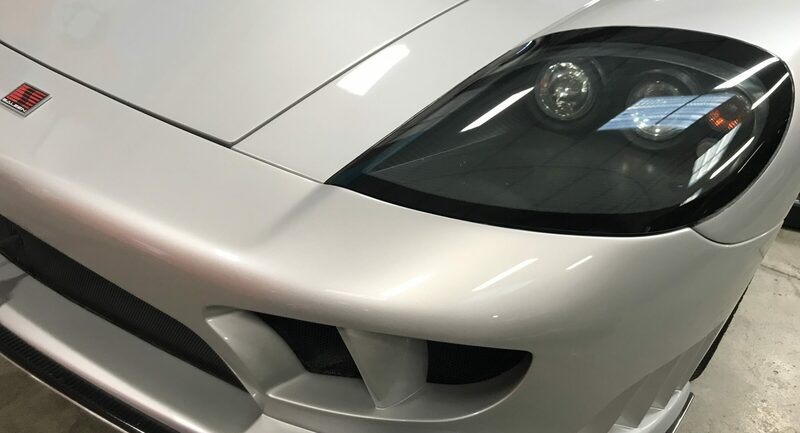 Car detailing will help retain a vehicle’s value, especially on those of older and more neglected vehicles that have never seen such a level of attention! Autohaus Polishing offers different car detailing packages. Depending on the existing condition of your vehicle and driving habits, we can recommend an option that is best suited for you so that your vehicle is kept in as good of a condition as much as possible during your time of ownership. Our interior detail addresses all upholstery, including leather and fabric seating surfaces. We will clean all the windows and then treat all interior plastics, vinyl and trim using appropriate Ph balanced products to revive and protect them from natural elements. We will vacuum and then thoroughly shampoo your carpet to remove any contaminants and stains. If needed, we also offer a decontamination treatment for more severe cases such as pet accidents, smoke damage, and other difficult to remove odors. 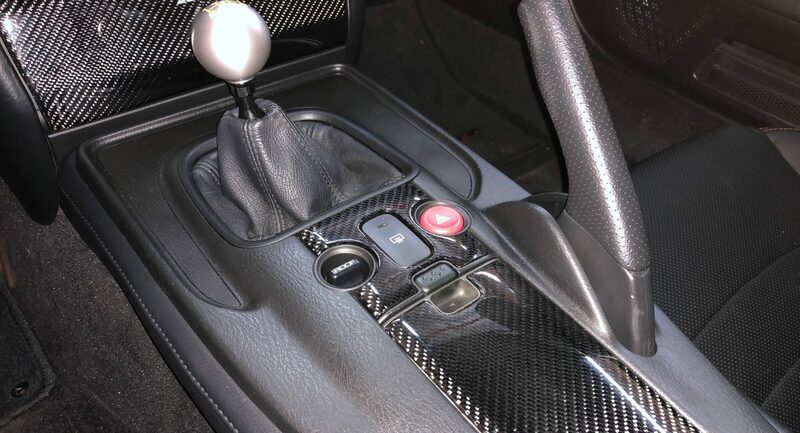 Our interior detailing process is can take anywhere from 2-3 hours to complete as we go over all areas using a wide variety of brushes, swabs and microfiber towels to remove even the smallest dust particles from the tightest areas! Ozone is a colorless gas with a distinct pungent scent. It is the second most powerful sterilant in existence behind nature! This treatment will quickly destroy bacteria, viruses, mold, mildew, and other offensive odors. We place our ozone machine in the center of the vehicle after the source of the odor is cleaned and decontaminated. Without proper cleaning and decontaminating, the treatment is ineffective. Treatment times vary between 45 minutes to 3 hours, depending on the severity of the odor. Machine Apply Polymer Sealant – Up to 12 Months Protection! Our exterior car detailing begins with properly washing the wheels and liners of your vehicle as these components usually tend to be the dirtiest and most contaminated parts of the vehicle. Our IDA certified staff uses special brushes and Ph balanced wheel cleaning products to remove grime and brake dust from all areas of the wheels, including the wheel wells and arches. 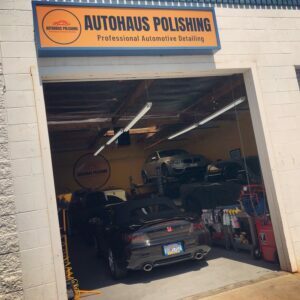 For an additional fee, Autohaus Polishing also offers vehicle undercarriage cleaning to properly wash your vehicle’s suspension components. Once this stage has been completed, we will then pre-rinse the vehicle and follow up with our specially formulated iron decontaminating foam. This foaming process helps to soften up dirt and lift it off from the paint’s surface while we take a bristled detailing brush and agitate the other areas such as the window rubber trims and the vehicle’s badges. The foam, along with the loosened dirt and grime, is then thoroughly rinsed off and we can then begin our two bucket wash technique with dirt trapping grit guards. The car detailing process is then completed with a clay bar treatment, polishing, and paint sealing.